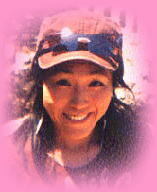 I am Waka Nishida,Japanese windsurfer. Now I live in Japan,and I have entered the PWA world tour　as a competitor. And in Japan I have been working at the airport as an engineer. If you would like to contact me,please send an E-mail to me. Ｃｌｉｃｋ the national flag of your country . You can choose the language .